A healthy and quality alternative. 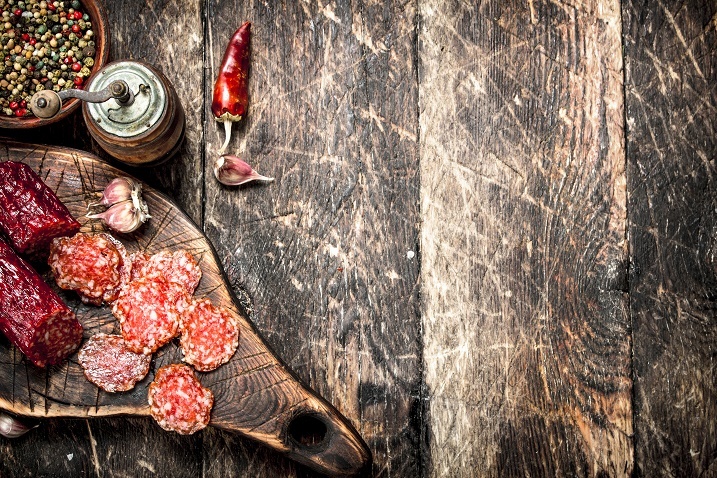 These products have no food additives. Sweet and light meat, raisins, cranberries, and chili. Who would have thought that this friendship can yield a shockingly tasteful pâté? 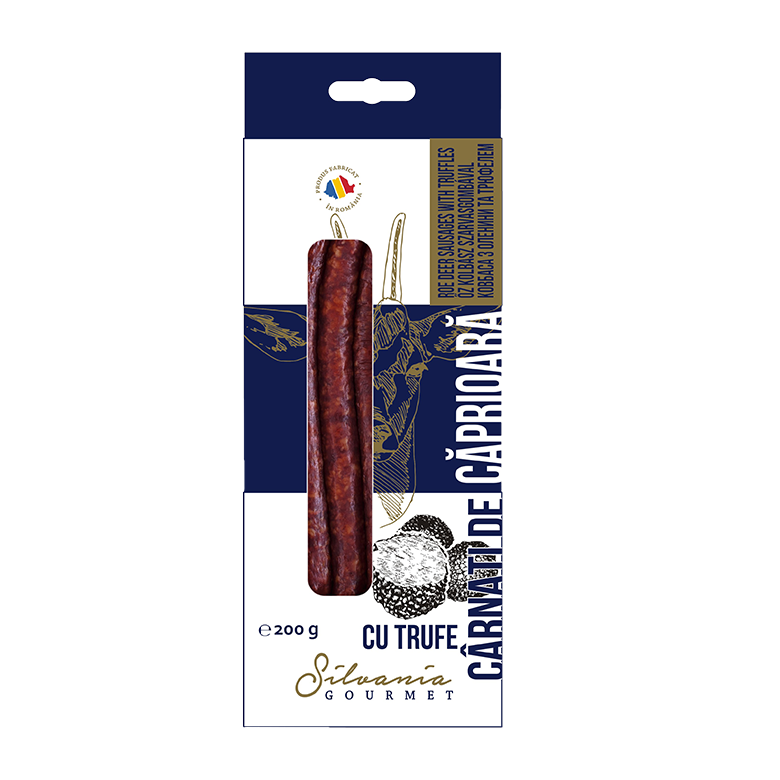 The elegance of the deer meat, ennobled with black truffles, turns any meal into a culinary show. Difficult to describe, easy to savor. 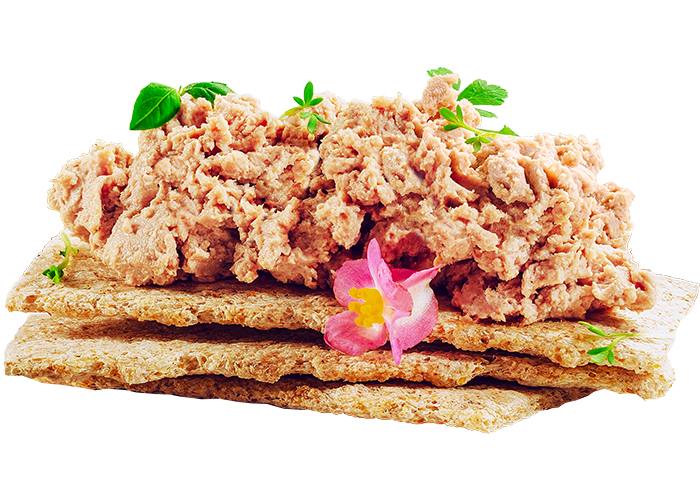 Valued by a less known combination of flavors, but unique nonetheless, the guinea fowl meat pâté will win you over from the very first bite. A délice that you’ve never tasted before. What would compliment the taste of pheasant meat better, if not for the fresh, sweet-sour flavor of the orange? 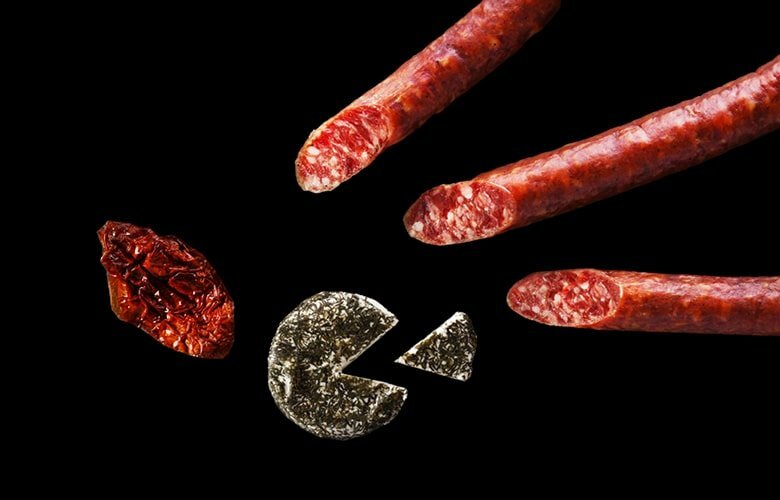 A daring combination that will free your appetite. 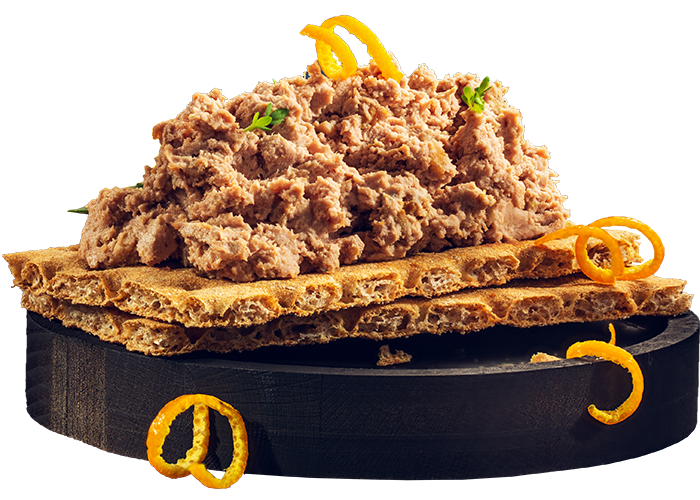 Shrouded in a bold mix of flavors, honey, vanilla, cinnamon and lime, the quail pâté becomes a true culinary statement. An irréprochable taste. 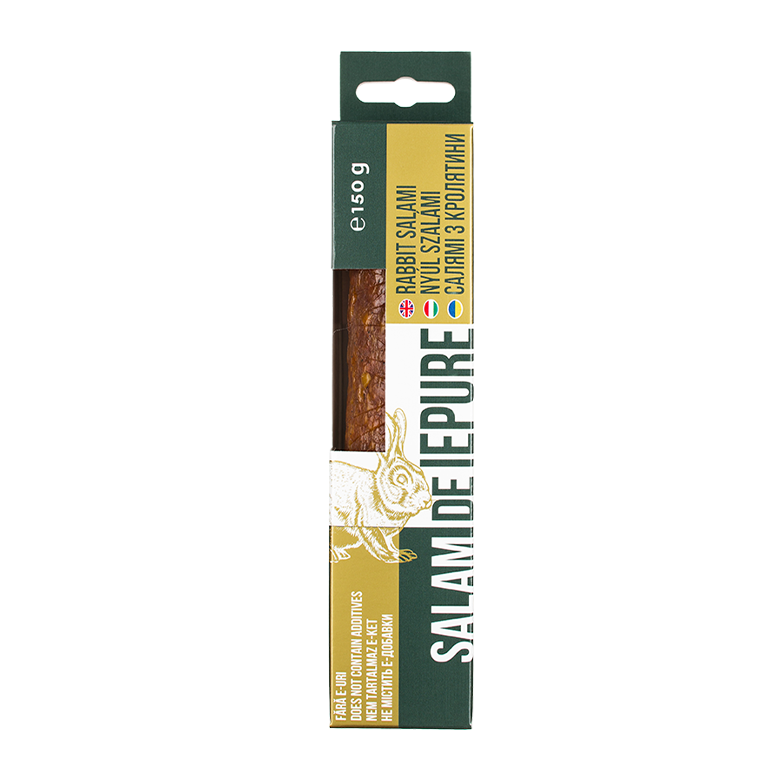 Out of the finest wild red deer meat, there has to emerge a salami worthy of being savoured unhurried. 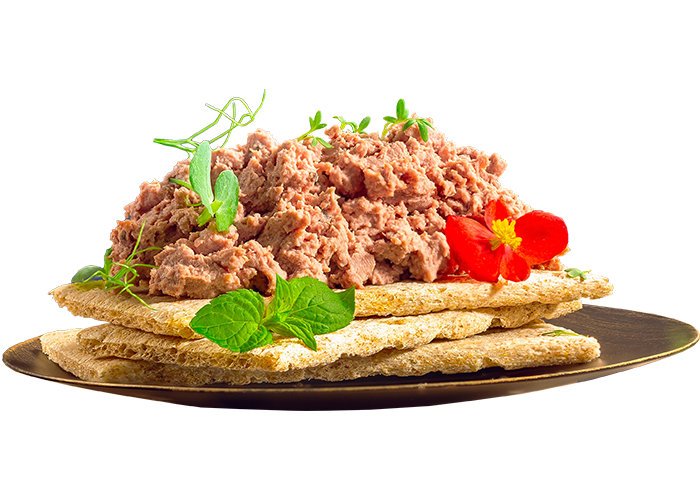 Passed through mustard seeds and other chosen spices, it is then cut in the way your heart desires, served on a toasted piece of bread and slowly chewed. 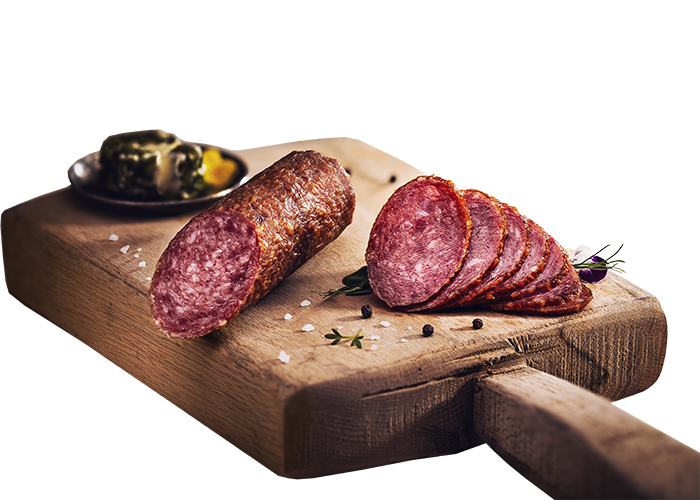 For the gourmand in you, we created a salami which will delight your taste buds each and every time. 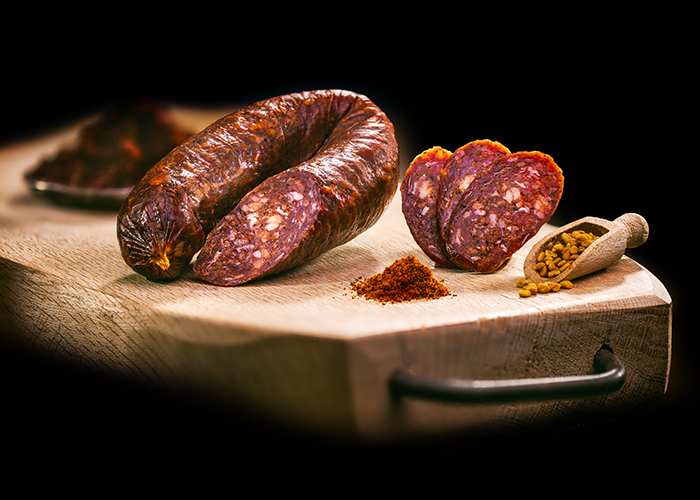 We picked the most tender wild boar meat and sprinkled a handful of seasonings, only to enhance your appetite when you eat it. It’s simply too good to refuse. 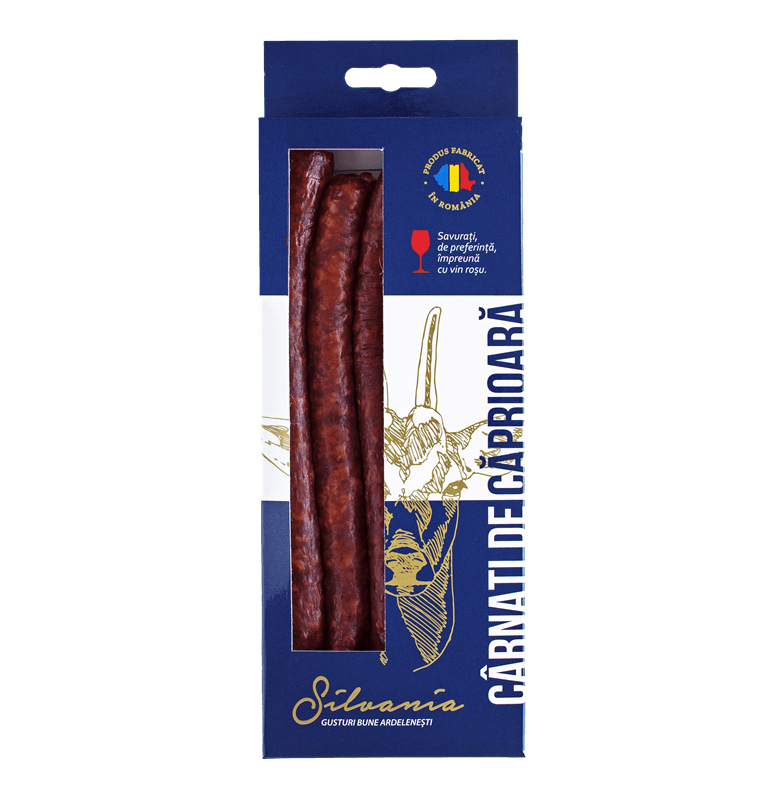 We didn’t go astray from the authentic recipe and prepared an excellent tasting for any moment and occasion: the hunters salami which reminds us of the traditional savors. 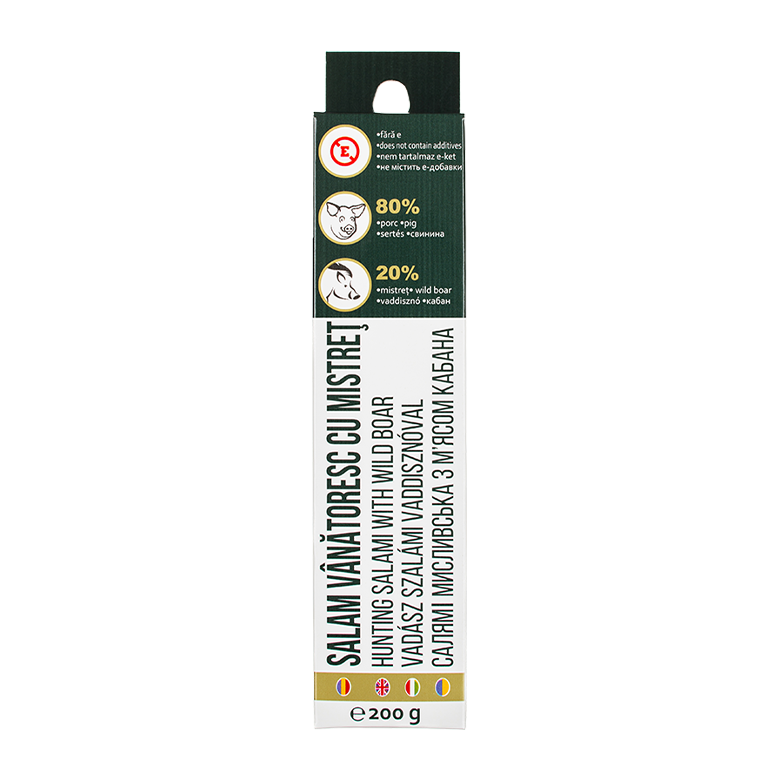 pork, wild boar meat (20%), salt, sugars (maltodextrins, dextrose), spice extracts, natural spices, flavors, starter culture. 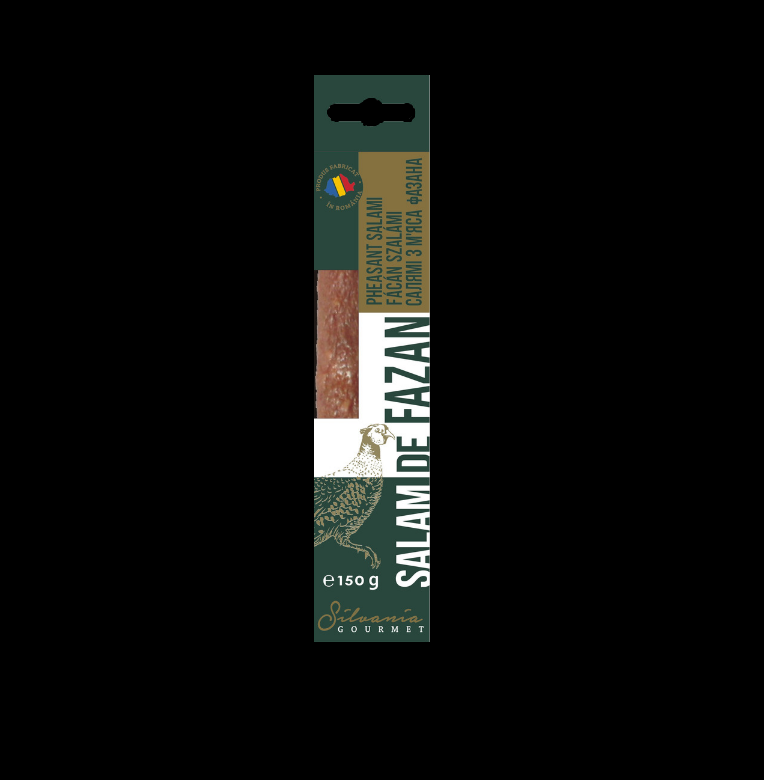 A salami which you won’t find anywhere else, from a carefully picked tender roe deer meat. Indulge yourself with it each time you are craving for something good. 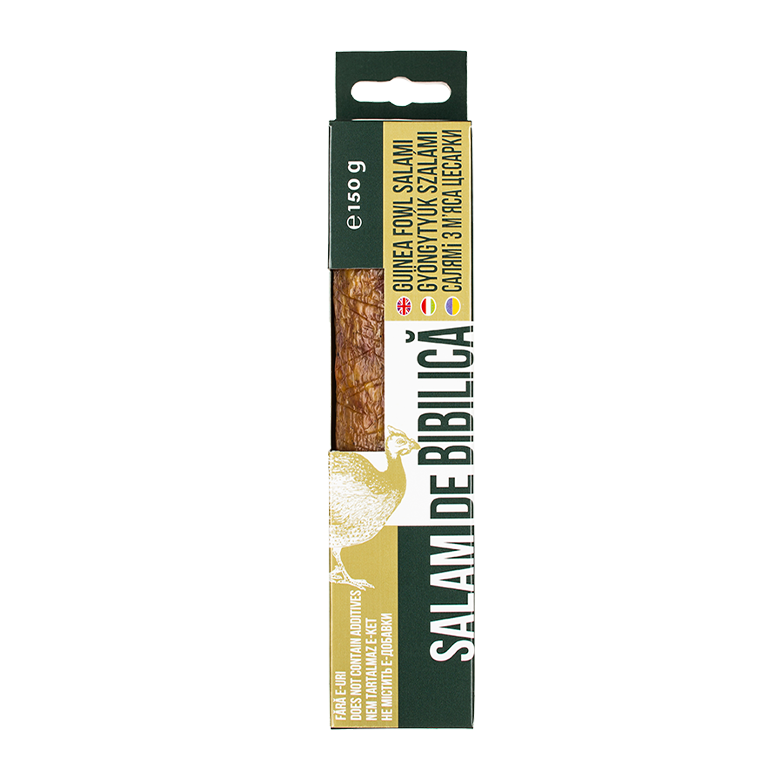 Well matched with chosen seasonings, it temps you with a flavor you just cannot get enough of. 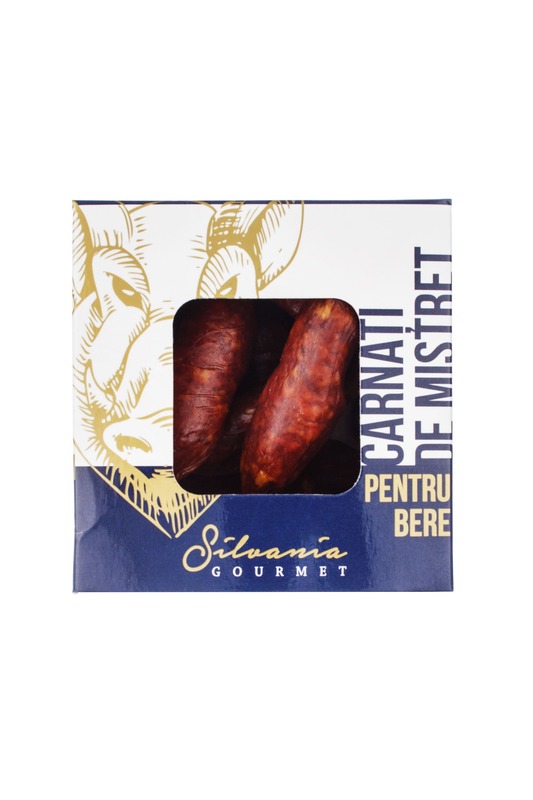 Treat yourself to a charming culinary masterpiece, where only the pepper and aged cheese rise up to the taste of the tender rabbit meat. 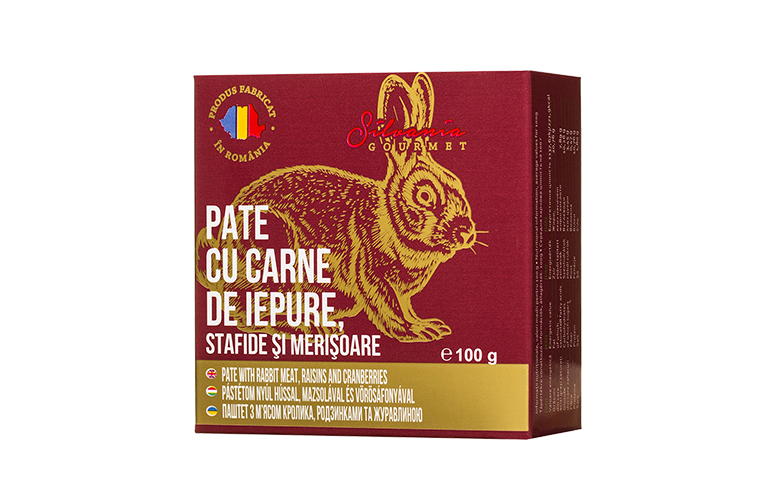 rabbit meat (51%), pork, salt, spices (contains mustard seeds), sugars (maltodextrins, dextrose), hydrolyzed vegetable protein, flavors, starter culture, preservative (sodium nitrite). Allergens: mustard seeds. 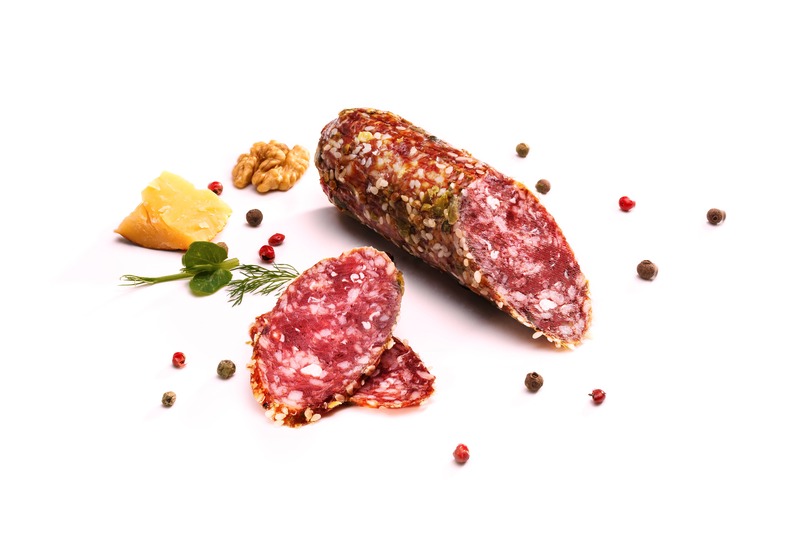 For those who always had a weakness for classic recipes, we prepared a genuine appetizer, light and very savory: the guinea fowl salami. An excellent choice and a divine taste, sensationnel. 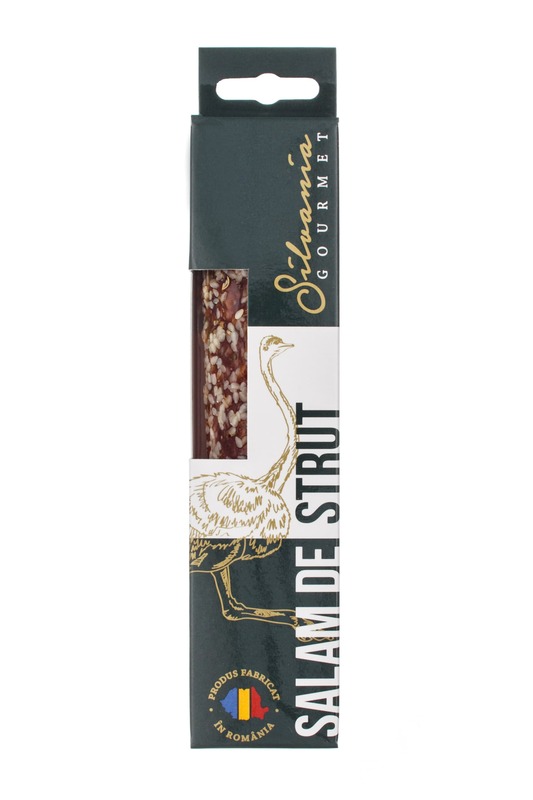 guinea fowl meat (51%), chicken thighs, salt, rustic smoked sirloin , spices, sugars (maltodextrins, dextrose), hydrolyzed vegetable protein, starter culture. 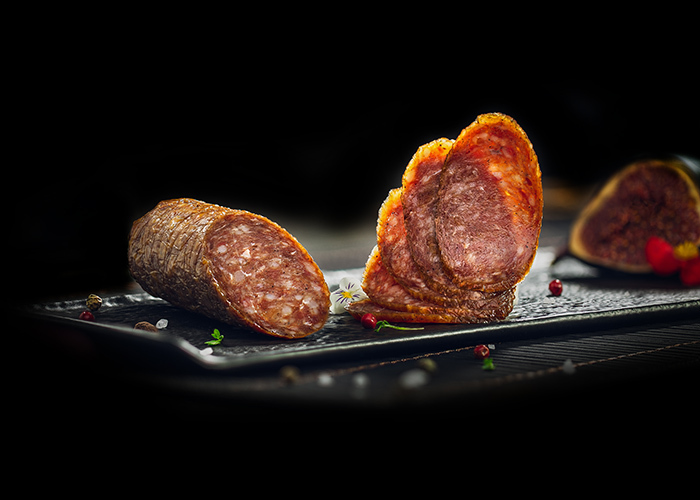 Give flavour to those moments reserved for snacks with a dry-cured delicacy, prepared following a recipe which can simply not get any better. 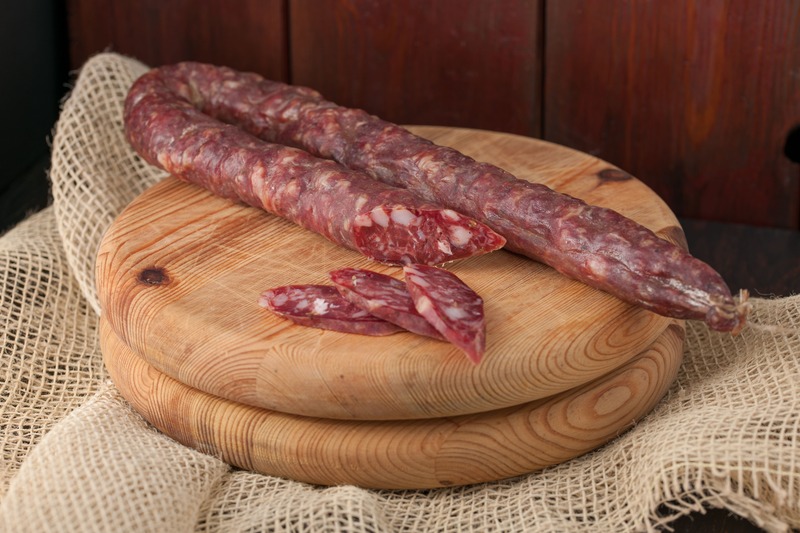 Manually seasoned, the bison salami is a sumptuous and delicious invitation to join the meal. Très savoureux! 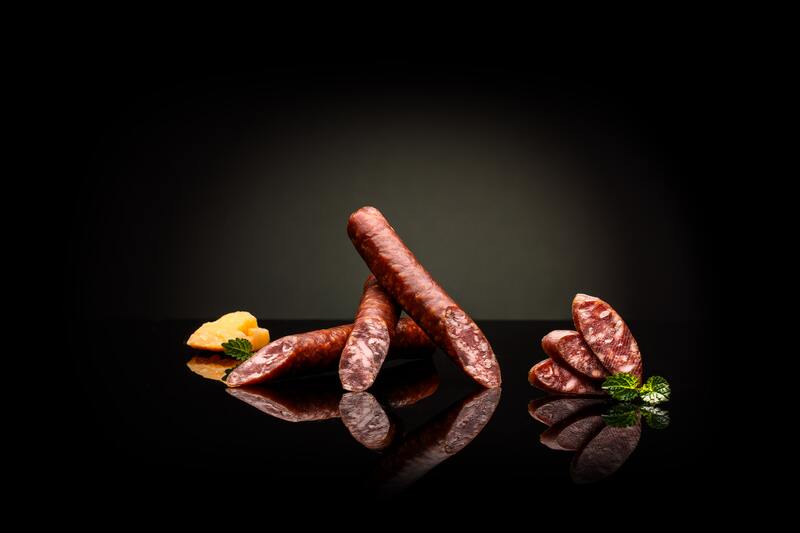 Because you know what fine taste means when it comes to food, you're in for a treat! 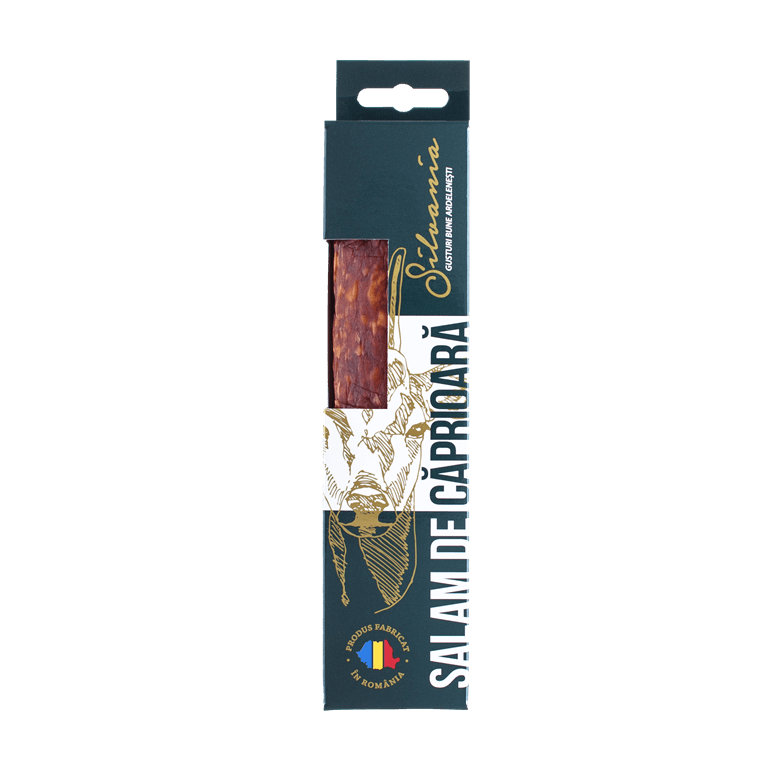 A delicious salami that will delight your senses every time. With tender quail meat, naturally flavoured with beech smoke and spices, this delicacy is the perfect choice for every meal. 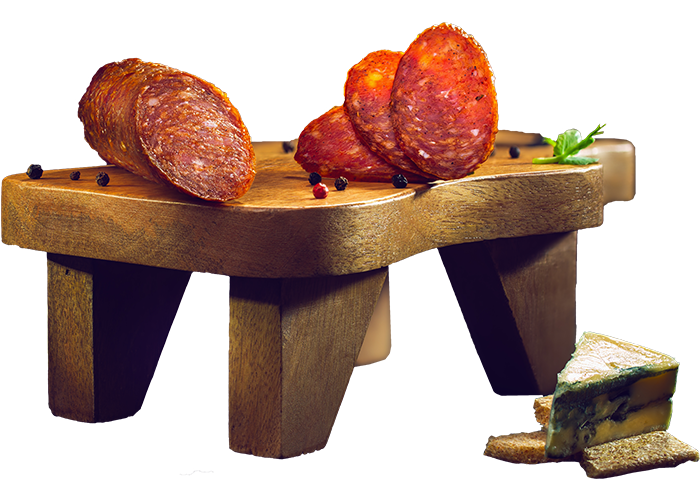 Enjoy great company, assorted goodies and relish the taste of fine food. 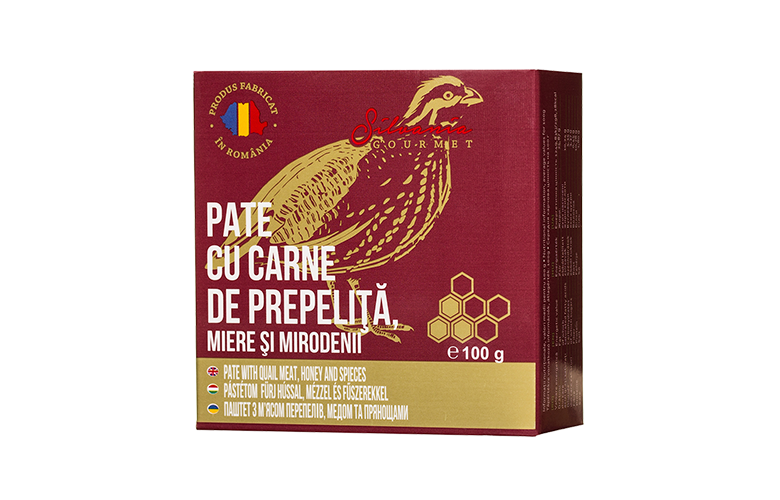 quail meat (51%), chicken thighs, salt, dates, sugars (maltodextrins, dextrose), spices, hydrolysed vegetable protein, starter culture, preservative (sodium nitrite). 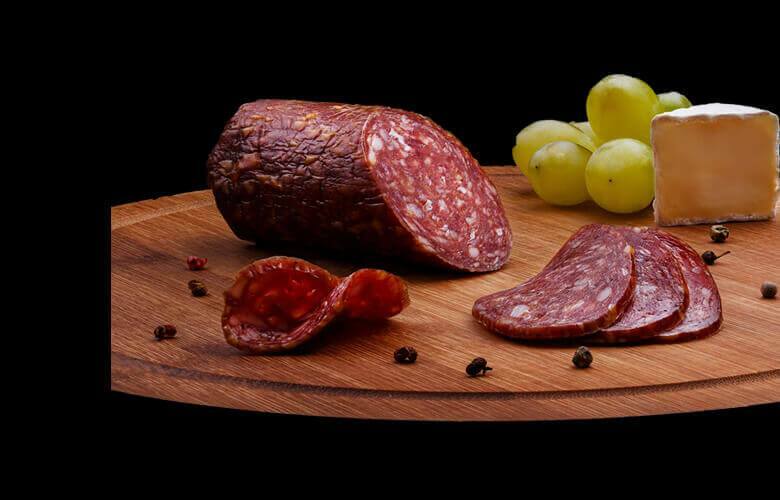 For those who never compromise when it comes to taste, the ostrich salami is a perfect choice. 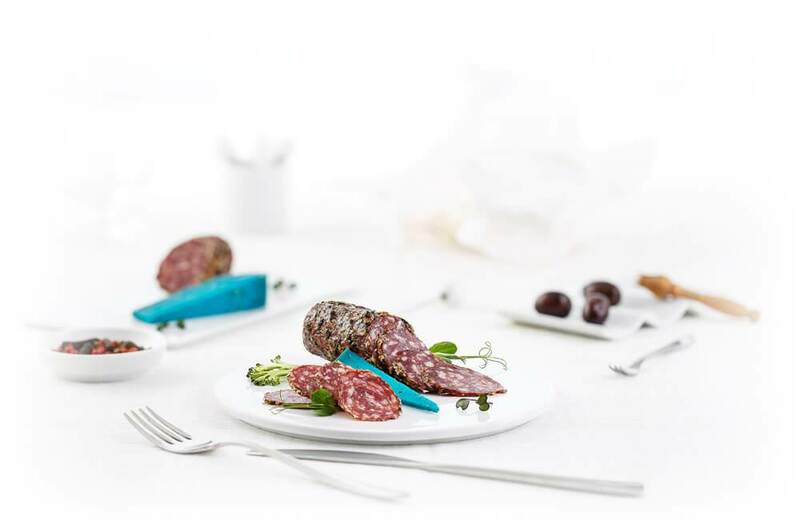 A specialty that transforms every meal into a work of gastronomic art. 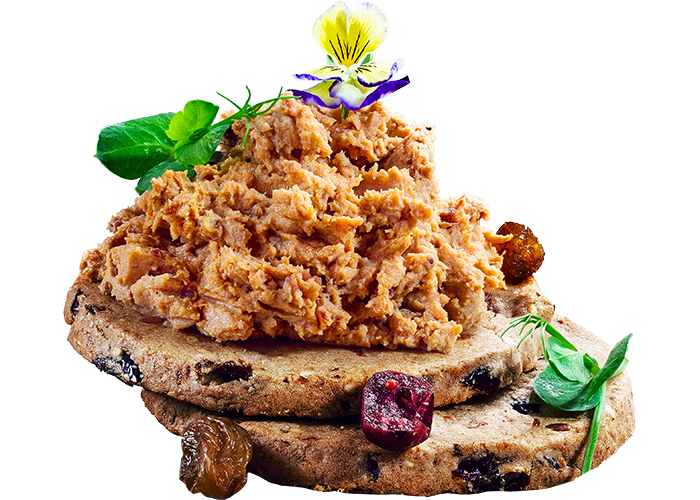 For all you food lovers out there, we've prepared a delicious treat that will definitely make you want more. 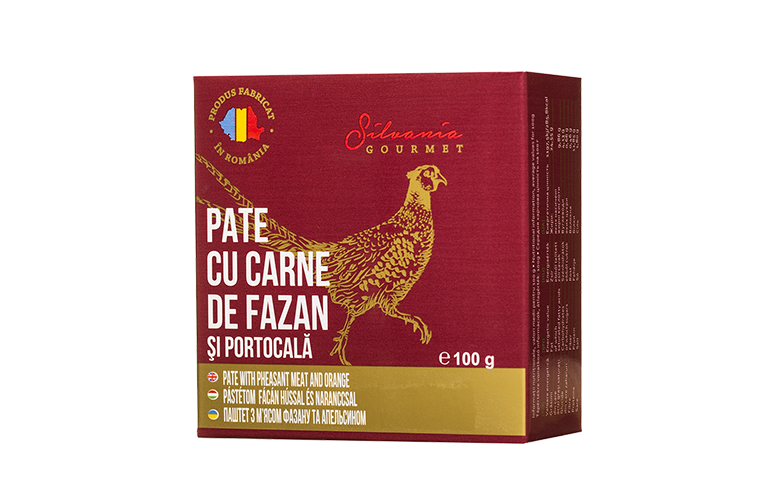 With tender pheasant meat, that is as tasty as it is light, orange peel to enhance the flavour and spices to complete the perfect taste, this savory delicacy is definitely the final touch for a perfect meal. All that's left for you to do is gather your loved ones, find a delicious wine to go with it and enjoy a tasty meal! 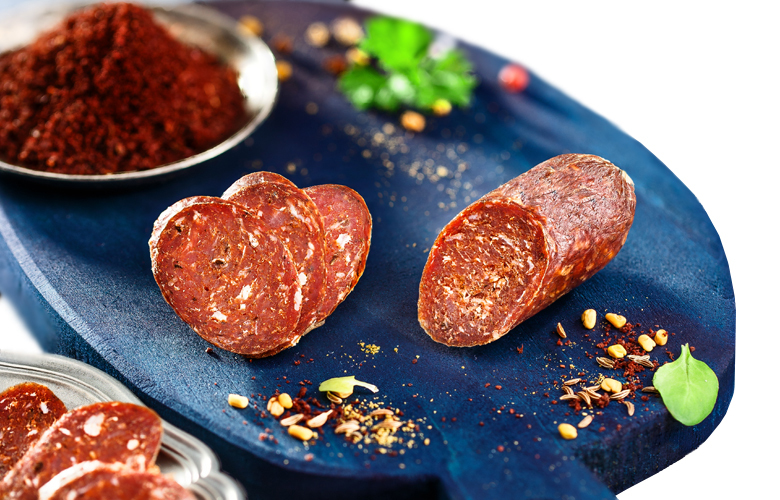 A turkish delicacy that will delight your taste buds! 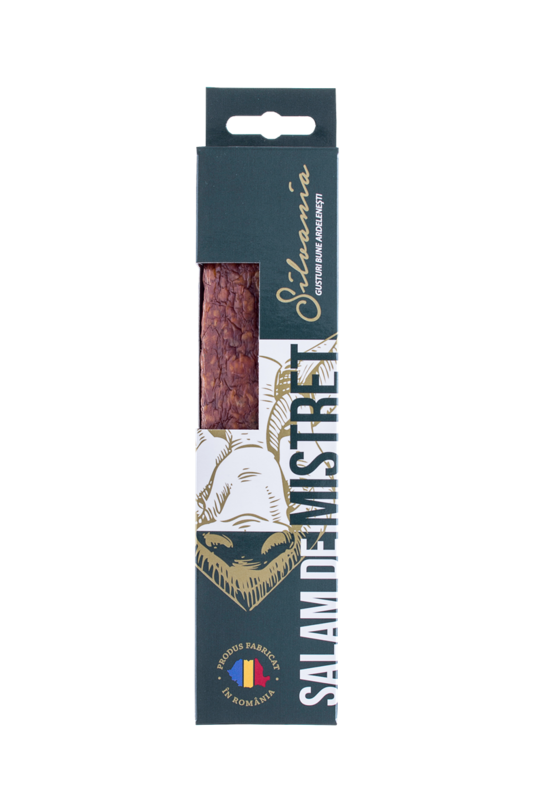 We've prepared a delicious treat made of tender camel meat, smoked with beech wood and spiced up just right. 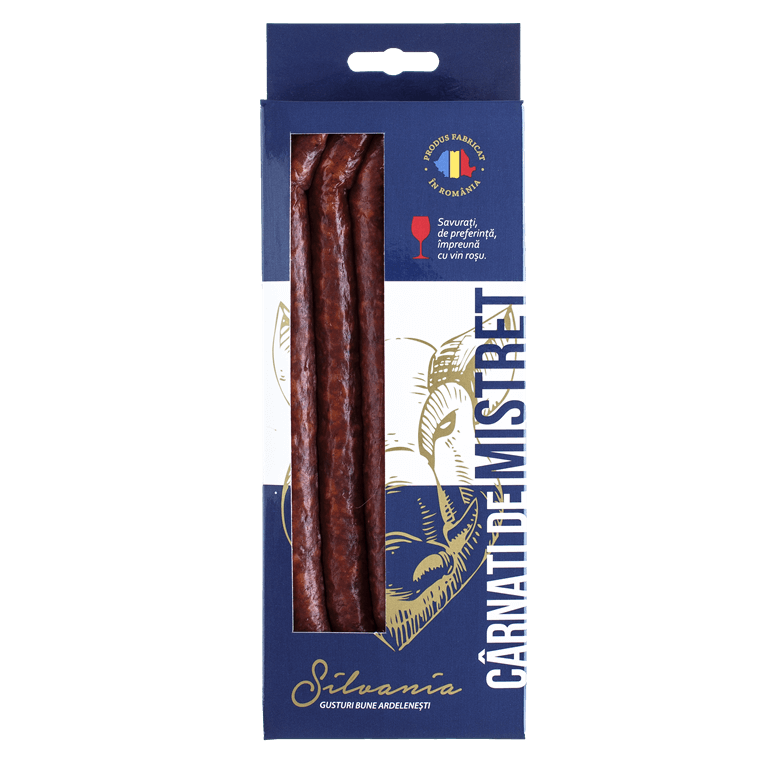 Enjoy a downright feast with a delicacy that will make you beg for more and complete it's taste with a flavoured red wine to enhance the perfect taste even more. Enjoy your meal! Bon Appetit! 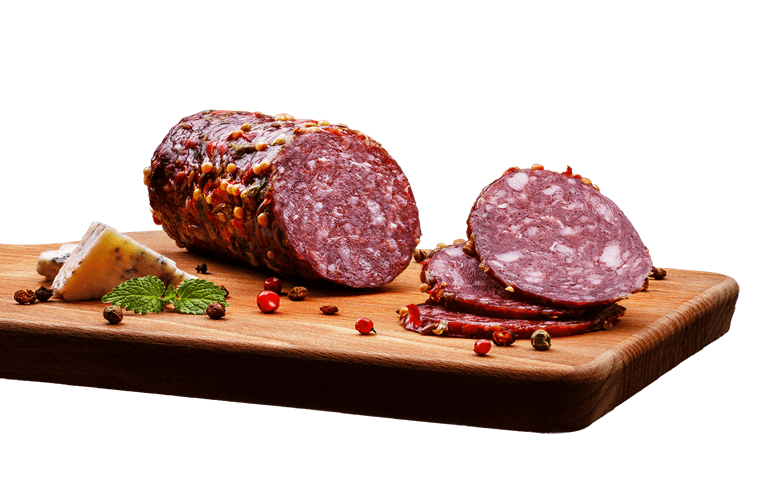 camel meat (93%), salt, spices, sugars (maltodextrins, dextrose), starter culture, preservative (sodium nitrite). 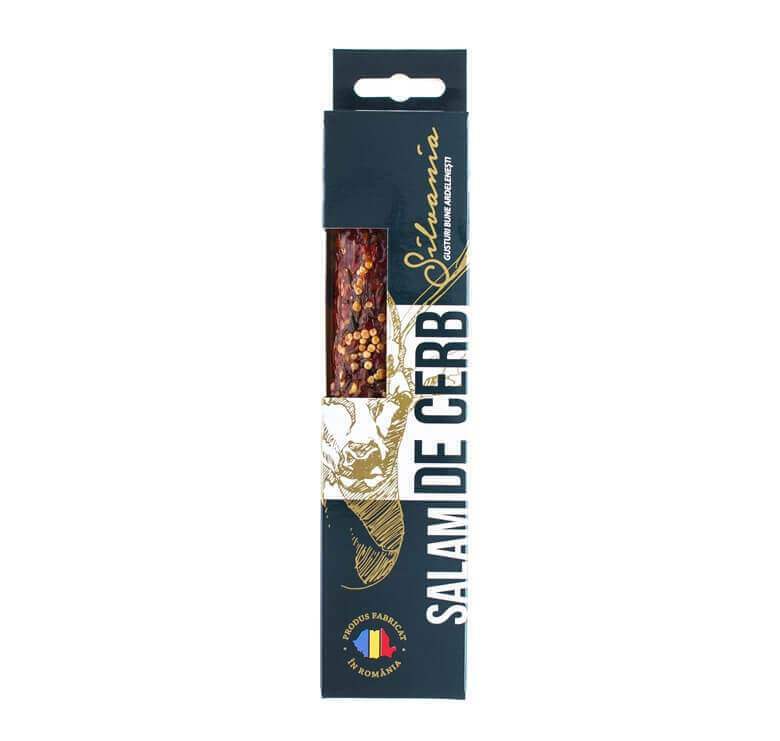 Few know how to appreciate the flavour of a precisely seasoned dish, smoked for exactly the amount needed in order to become a true gastronomic delight. Vous? 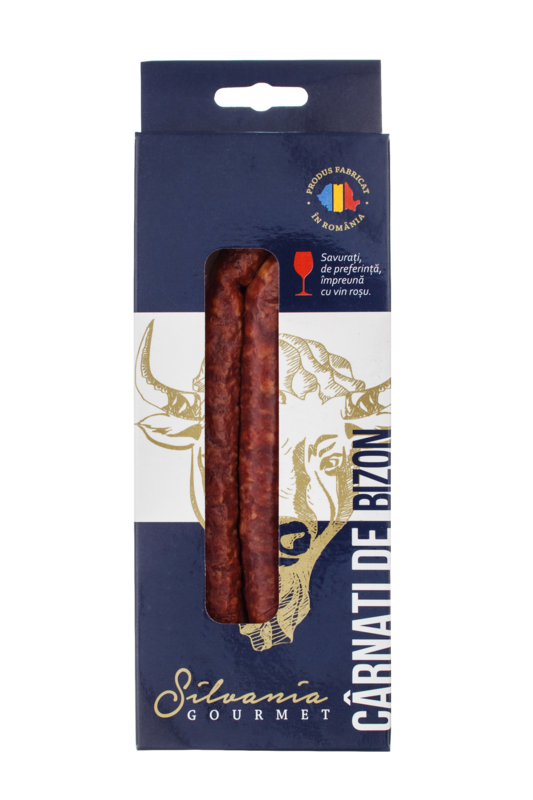 We wanted to delight your taste buds, so we created a sausage made with mature wild boar meat, carefully smoked, as good as nowhere else. Cut it as you see fit, complete it with a piece of homemade bread, old wine and a good, friendly talk. 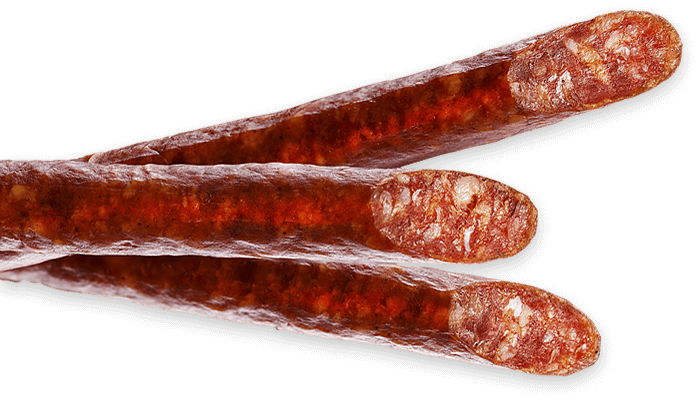 Inspired by the heart of the Middle East, the Turkish sausages are a true culinary blessing. 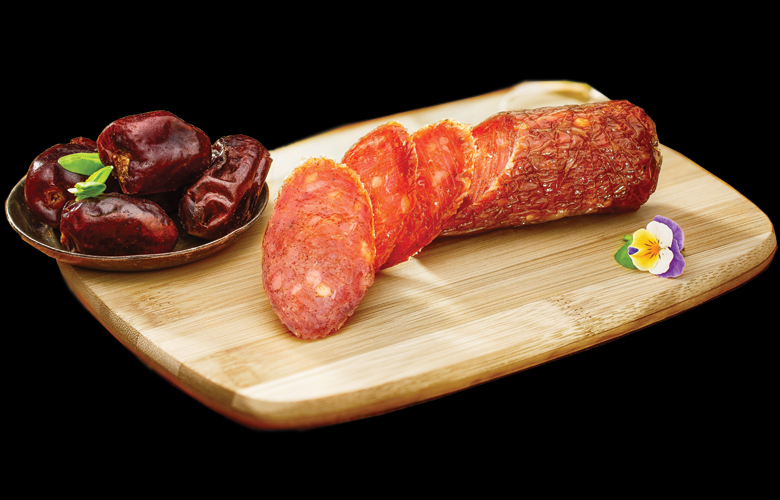 For added flavor, we blended the fresh aroma of the sumak with pepper and Turkish paprika. Do you think you can resist it? 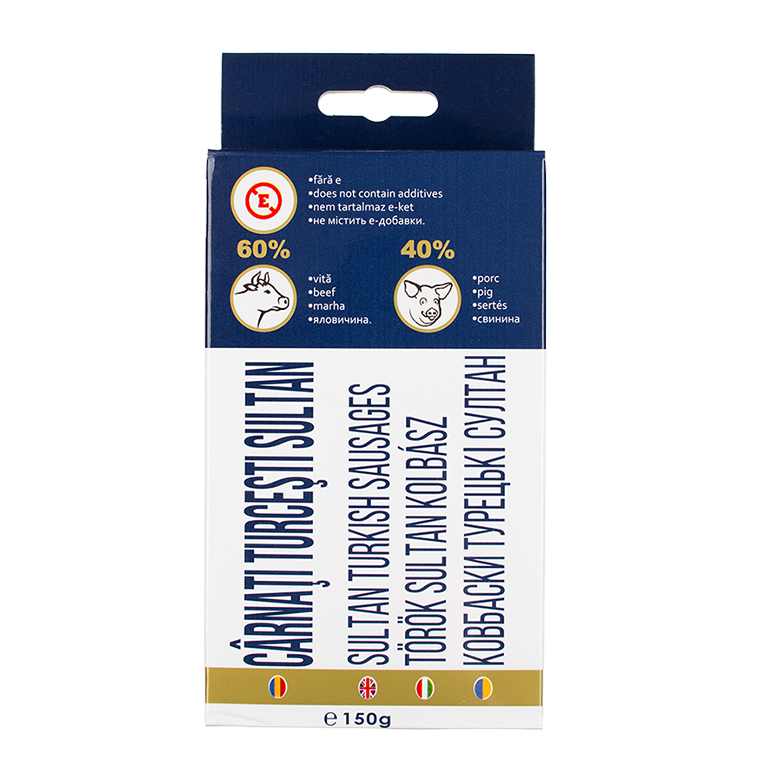 beef (60%), pork (40%), salt, spices, sugars (maltodextrins, dextrose), starter culture. 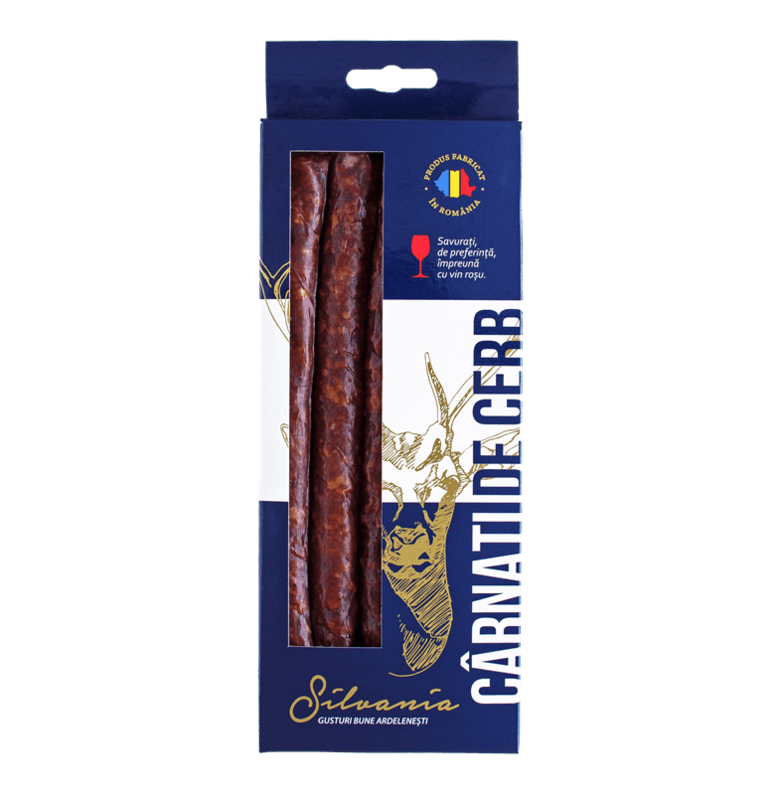 When you are craving something tasty, take a wooden platter and on it place these smoked sausages, made with tender roe deer meat and exactly the right spices. 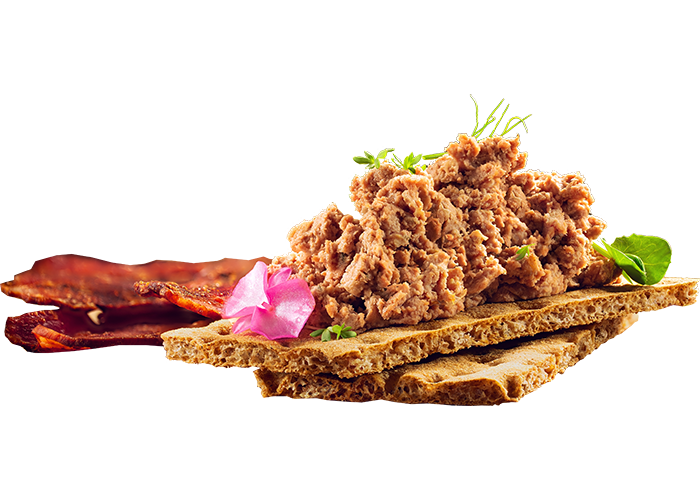 The flavor of dried, cold oat smoked meat will keep you around the table for a well-seasoned, memorable talk. 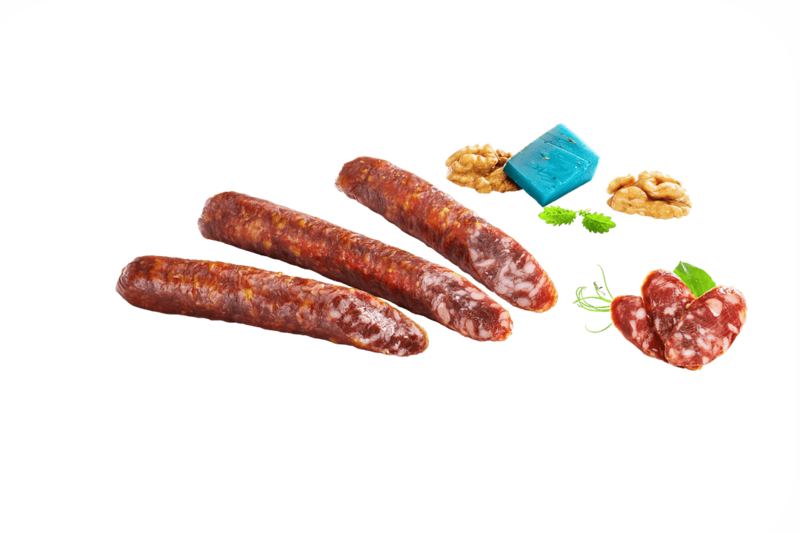 We measured and added the best of seasonings and carefully let the sausages dry. All you need to do now is match them with a piece of cheese and honor them with a good glass of wine. A treat for the appetite and for the heart as well! 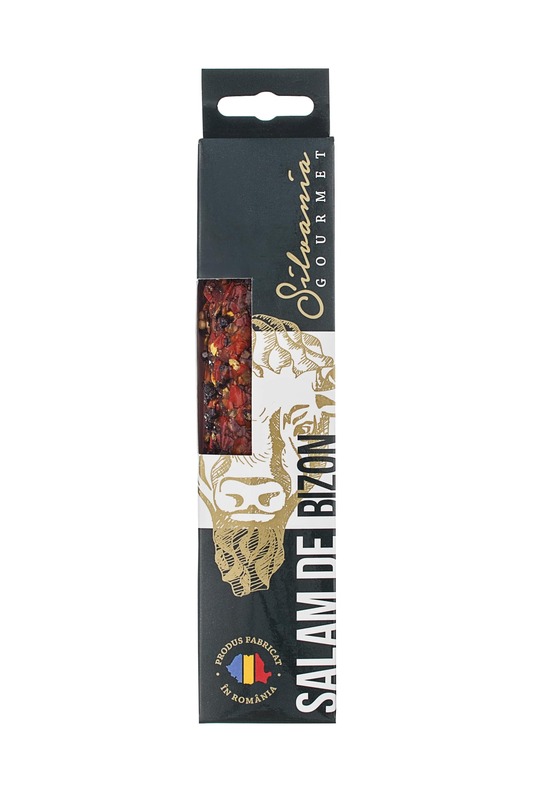 The spicy flavour and the wild boar’s tender meat can best describe these chilli cocktail wieners. 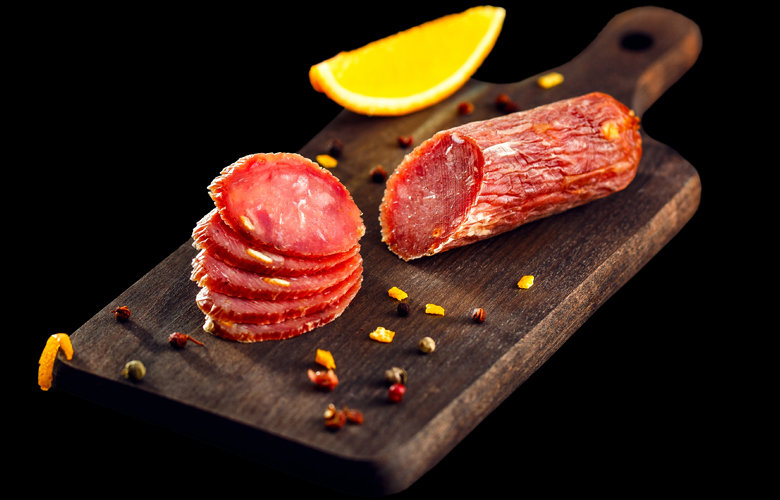 The rich taste of perfectly seasoned smoked meat is what gathers everyone around the table. 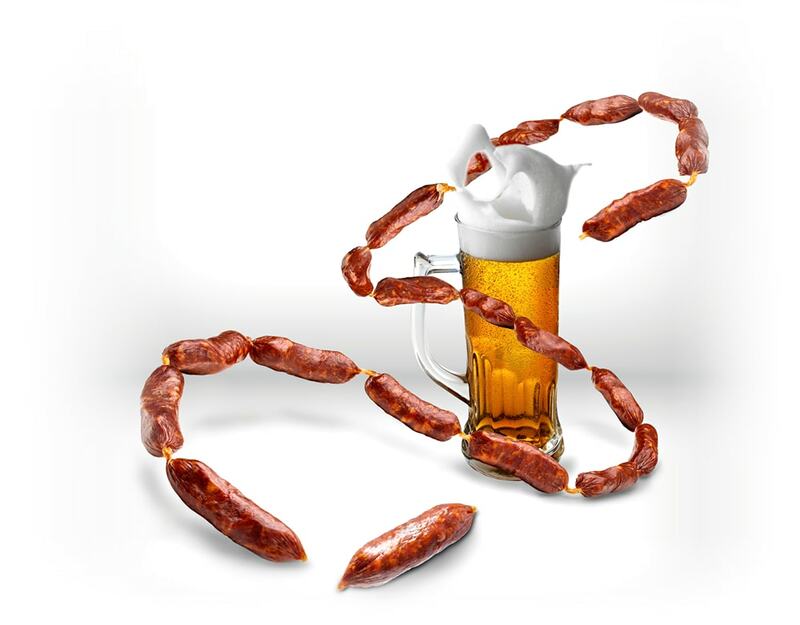 Best served next to a beer of your choosing - a delicacy that dazzles your appetite. 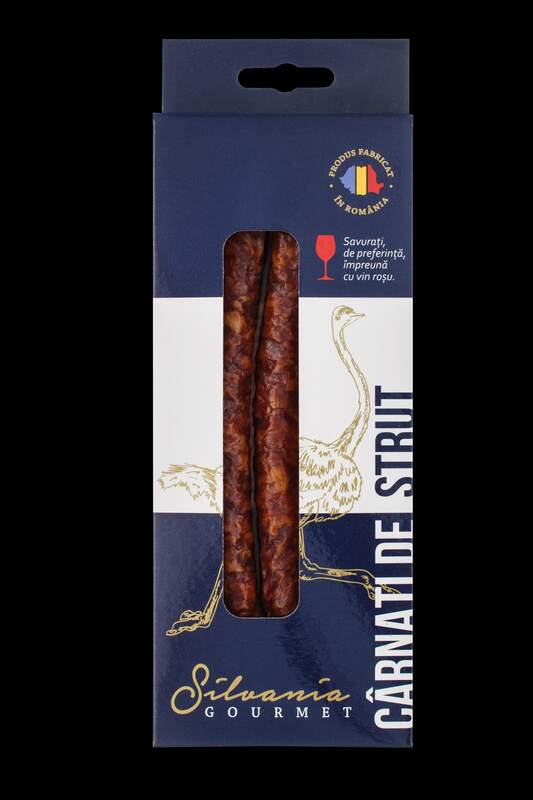 Aiming to reveal the natural superior taste of the meat, the ostrich sausages are slowly and patiently smoked, acquiring a taste that is unique et incomparable. To be enjoyed with great appetite. 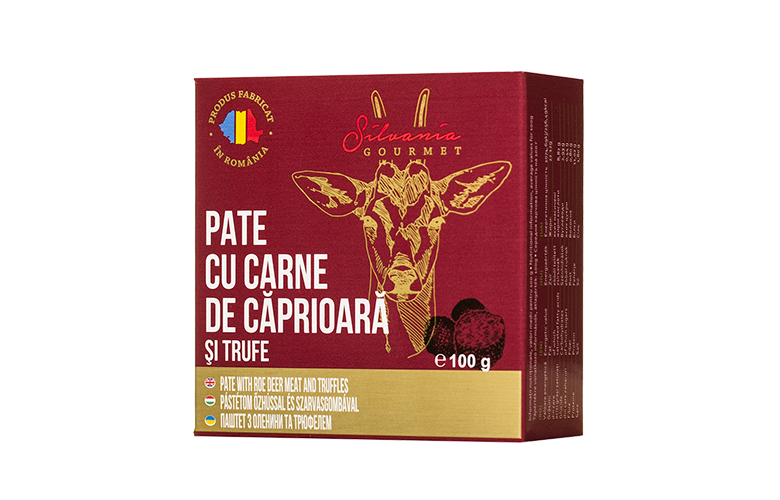 The secret to this recipe is kept carefully in the intense and unique taste of the black truffles. 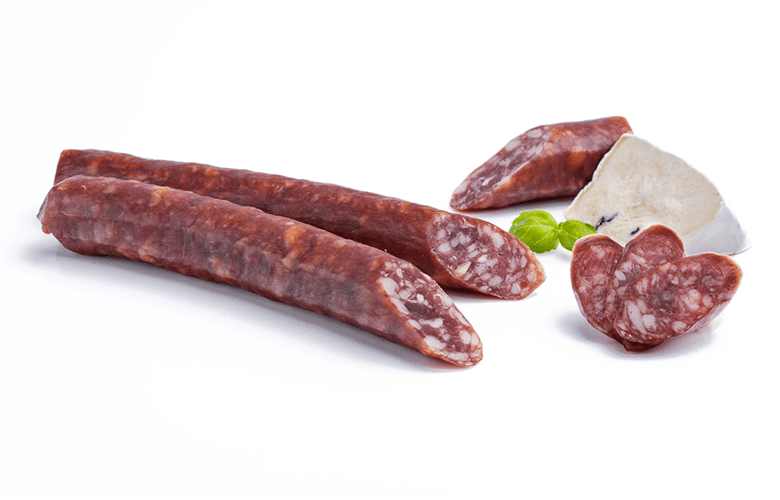 Each bite, leaves you wanting to know more….